One of my clients is a nonprofit organization for the type 1 diabetes community, so when word got out late last year that American Girl was going to start selling a diabetes care kit for American Girl dolls, you can bet I took notice. 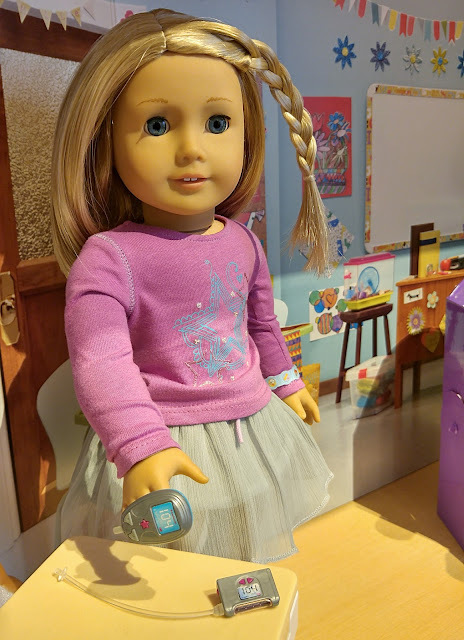 I already love American Girl dolls, and the fact that they are helping kids with diabetes create an American Girl doll experience that is uniquely tailored to them makes me love them even more. The diabetes care kit began selling earlier this month, online and in stores. 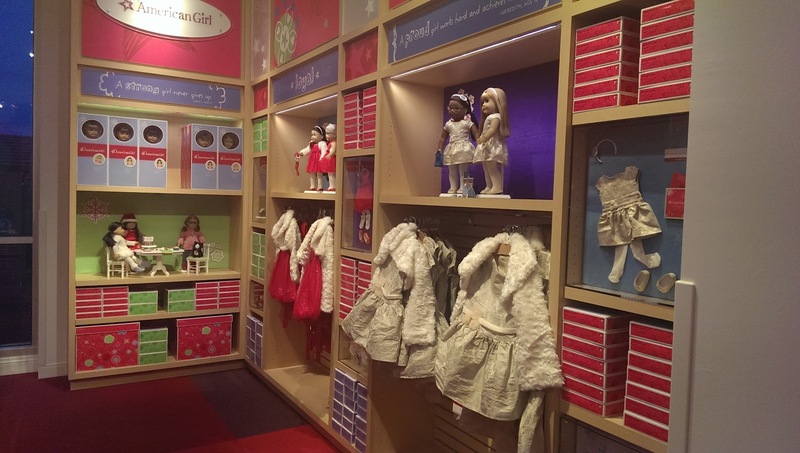 In stores, the kit is sold in the Truly Me section, where girls can buy dolls that resemble them in color, features, and hairstyle. 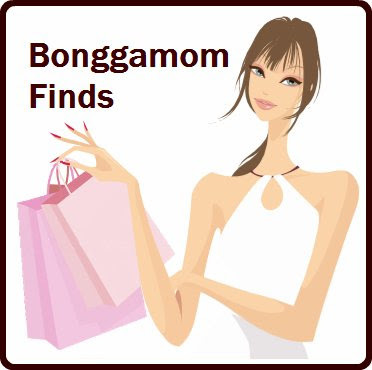 Girls can also buy accessories and play kits to match their own hobbies, as well as matching girl-doll outfits. It only takes a few minutes of walking around the store to see how American Girl celebrates diversity. I do have a problem with the lack of diversity in the American Girl of the Year doll line, but I can't say the same thing about their Truly Me line. American Girl Truly Me dolls do represent a wide range of races and ethnicities. 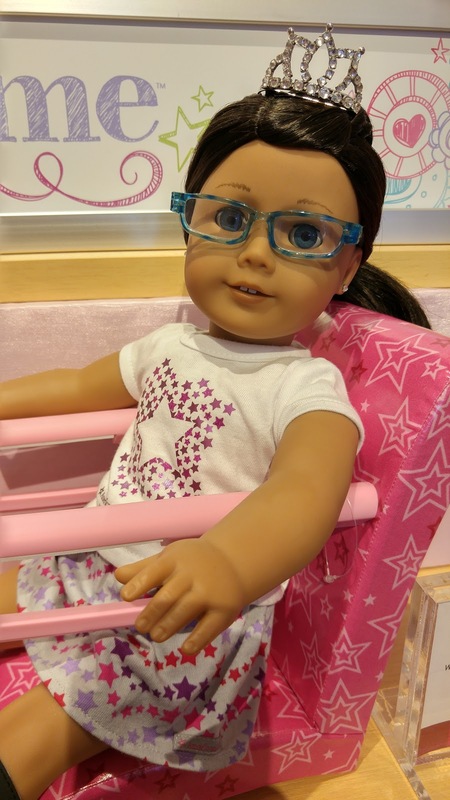 1) They sell eyeglasses so girls with vision problems can wear eyeglasses to match their doll's. 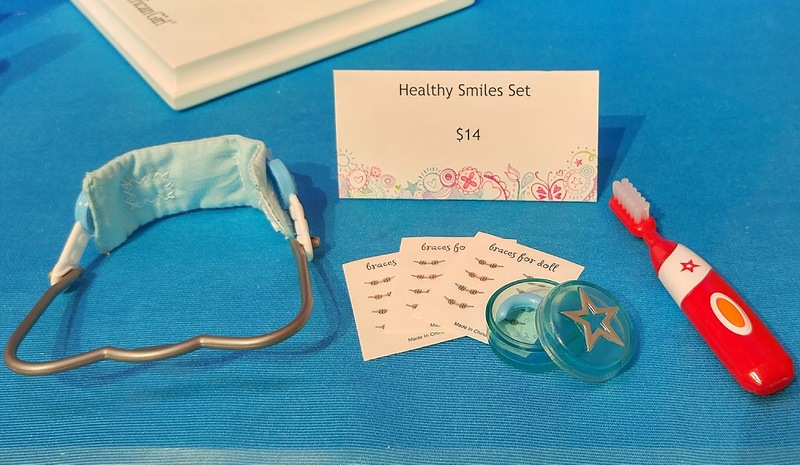 2) They sell orthodontic kits so girls with braces and headgear can have a doll who looks like them. 4) ... and casts, so girls who have been injured can play with a doll going through the same recovery. 5) They sell wheelchairs so girls who cannot get around without assistance can have a doll who also needs some help. 6) They sell allergy-free lunch kits so girls who sit at nut free tables can play with a doll who can sit at the table with them. 9) ... and dolls without hair. 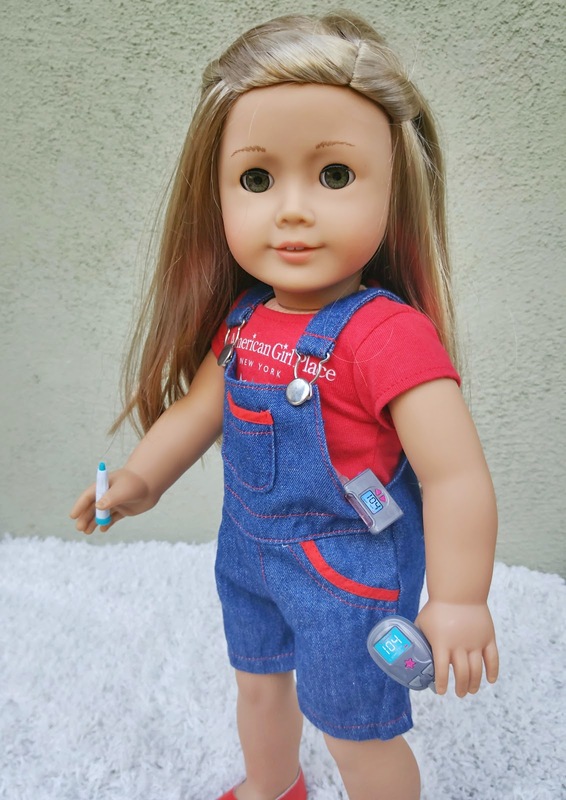 10) Now that the diabetes care kit has arrived, girls with diabetes can own a doll that is going through the same carb counting, finger pricks, blood sugar testing, insulin injections, or pump infusion site changes that they do. Here's a closer look at what's included in the diabetes care kit. Trust me, if you are a kid with diabetes, you are all too familiar with each and every item in this kit. 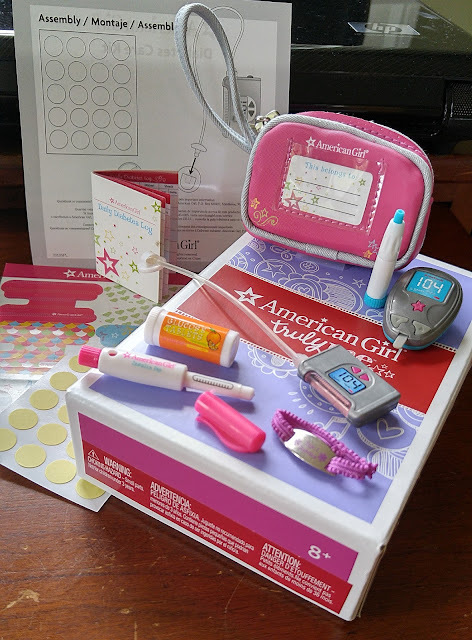 For a complete list of contents and more photos, check out my American Girl diabetes care kit review post on Carb DM. 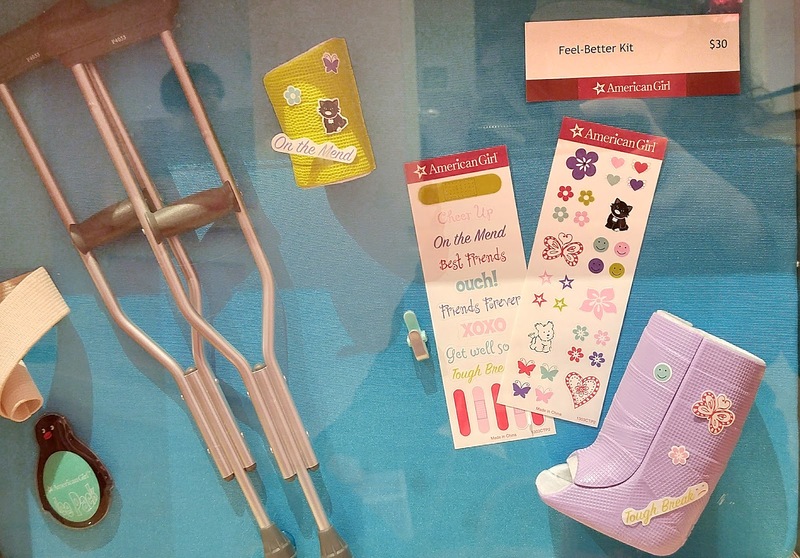 Of course, there are many conditions that American Girl has not covered. 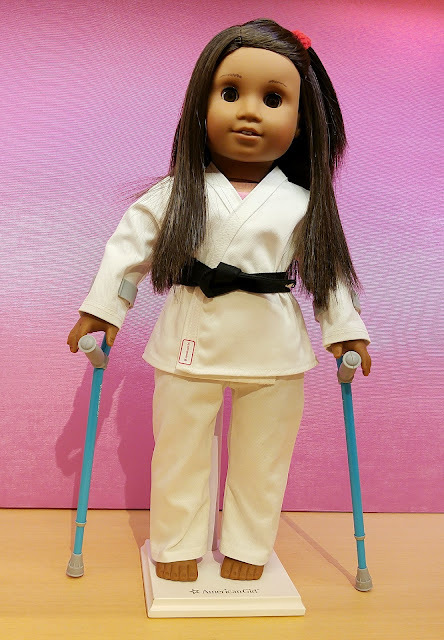 There's already a petition circulating for American Girl to make a doll with limb differences, a doll with a chest scar, and a Girl of The Year doll with a disability. I doubt if American Girl will ever be able to cover every possible medical condition that a girl can have. And with dolls now starting at over $100, I doubt they'll ever be doing much to address socioeconomic diversity (although they do have quite a few community programs where they donate dolls to disadvantaged kids and kids in hospitals). But they have already done so much to get away from the stereotypical, one-size-fits-all doll, and for that I have nothing but praise. 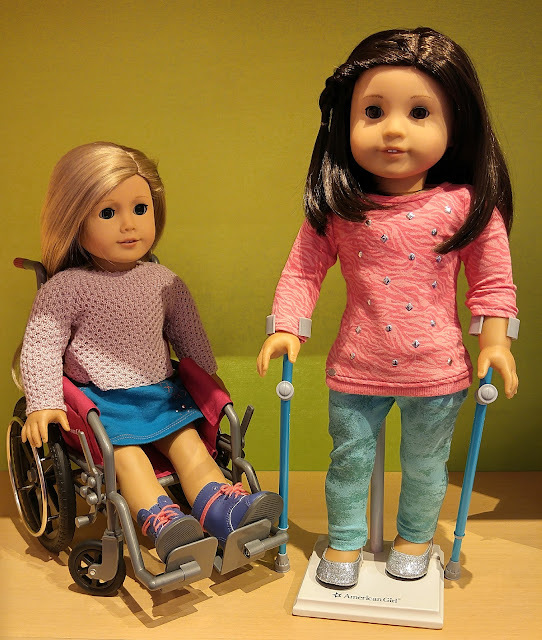 Thank you, American Girl, for creating dolls that so many girls can truly relate to, and for creating play experiences that mirror the reality that so many girls face in their every day lives! Disclosure: This is not a sponsored post. 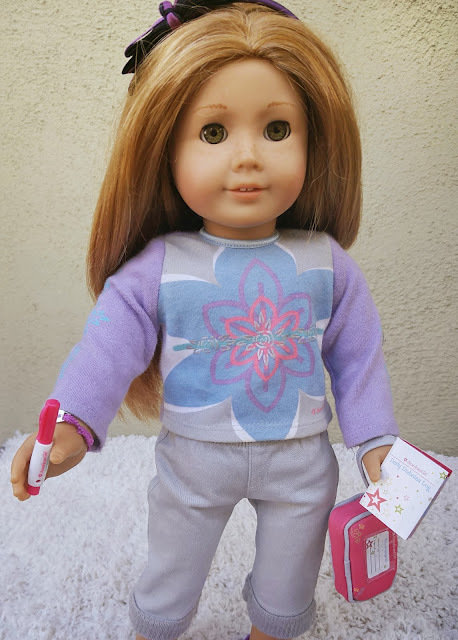 No product review samples this time -- I just really like American Girl.